Acción Latina’s flagship program began as a project in a La Raza Studies class at San Francisco State University in 1970. In the ’70s Latinos and other people of color were virtually invisible in the major newsroom, so professor Juan Gonzales created the class as a way to channel more Latinos into journalism. 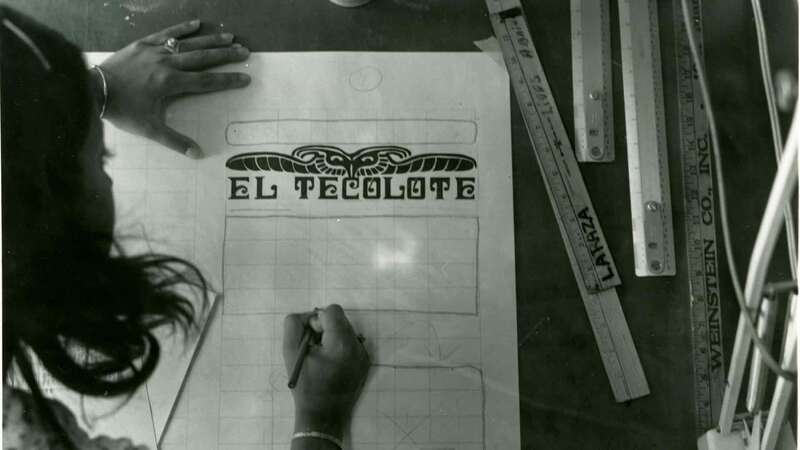 As a final project, the class produced a bilingual newspaper called El Tecolote, which hit the streets on Aug. 24, 1970. The newspaper soon moved to the Mission District and became a training ground for the community to learn advocacy journalism. El Tecolote began as a volunteer effort and continues in that vein with approximately 90 percent of its staff being dedicated volunteers. El Tecolote has consistently kept a finger on the pulse of what is happening in the Latino community of the Mission District and the greater San Francisco Bay Area, providing information about issues that impact residents’ everyday lives. In the early 1970s, for example, El Tecolote reporters conducted a two-year study of the 911 emergency hotline and found that it took an average of four minutes longer for Spanish speaking residents to get assistance. Coverage on the lack of bilingual operators—combined with community activism—resulted in hearings before the Public Utilities Commission. Similarly, in 1977, several workers at San Francisco General Hospital expressed their concern to El Tecolote reporters about the lack of trained medical translators. El Tecolote’s subsequent coverage helped to spread the word about this critical issue. Eventually the State Department of Health investigated and issued the hospital a letter of non-compliance on the provision of bilingual services. Ten months after coverage began, the hospital established a bilingual unit with 26 interpreters trained in medical terminology. In addition to covering the Latino community, the newspaper has played an important role in promoting the talents of Mission District artists. Over the years, the arts and culture pages were often the first to cover local artists who are now nationally recognized. We have also published several special supplements, including a literary section (Revista Literaria) edited by local Latino writers, a youth publication (Fuerza Joven) — which provided training for neighborhood teens — and informational fotonovelas covering topics ranging from the 2010 census to youth depression, and domestic violence. Its archives represent a historical record of Mission District activism and the social, political, cultural and economic development of the community from 1970 onwards.